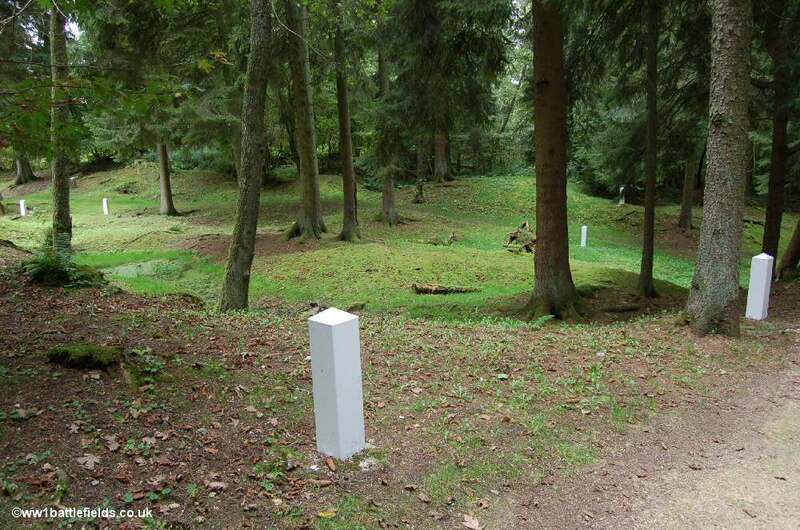 Located north-east of Verdun there are two main sites to be seen at Fleury, covered in seperate sections below. 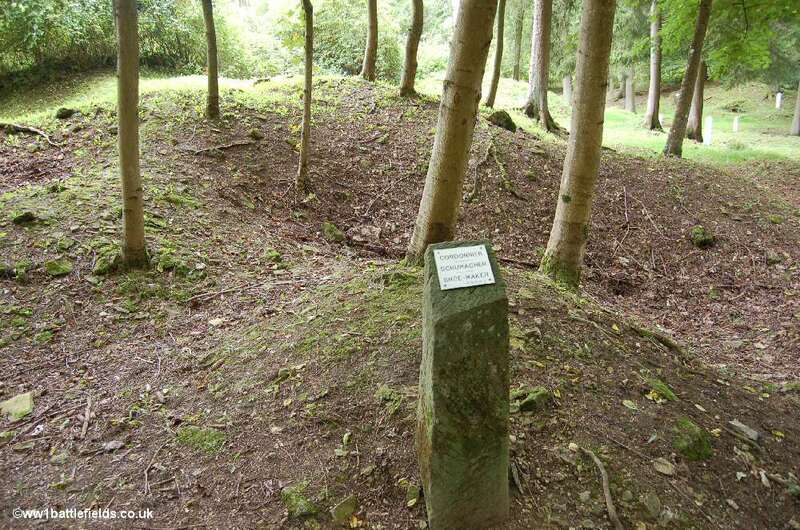 These are the memorial museum, and the site of the village itself, of which nothing now remains. 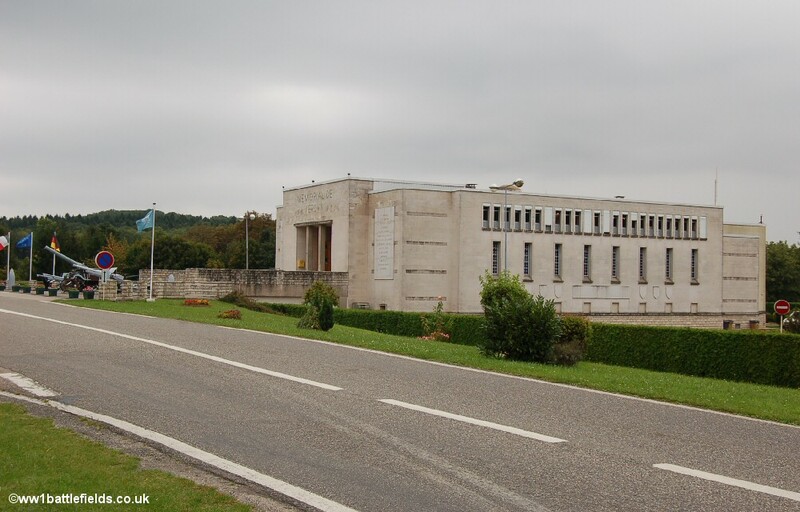 This is just one of the villages near Verdun which were destroyed during the Great War and never rebuilt. The museum opened in 1967, on the site of what had ben Fleury station. It houses several displays, including a number of video presentations. A fee is charged for entry to the museum (around 7 Euros), and there is also a small shop area. 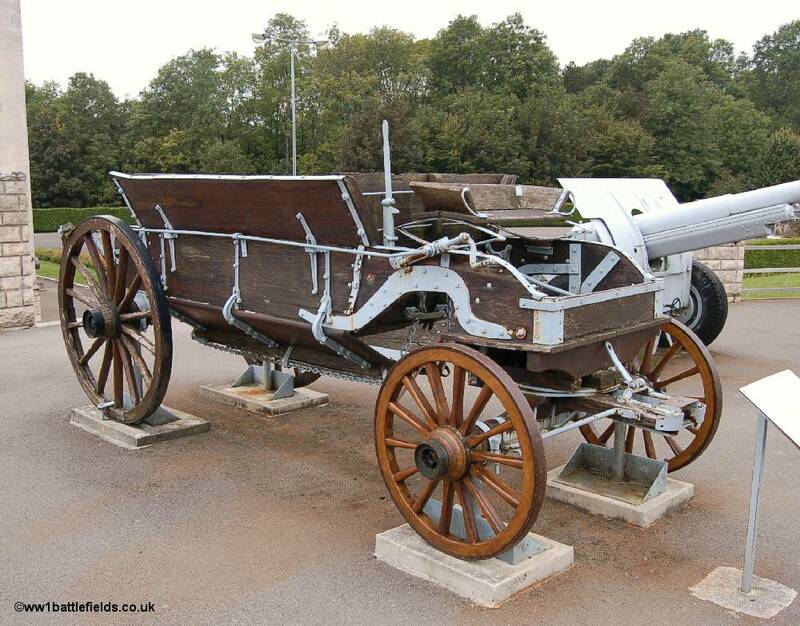 Outside the museum entrance are a number of armaments and other war-time items, such as the American field-wagon shown below, which was used for road repairs during the offensive in September to November, 1918. 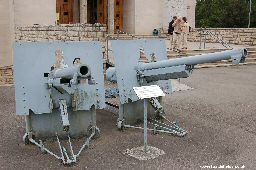 There are also several artillery pieces, and shown below are three of these. 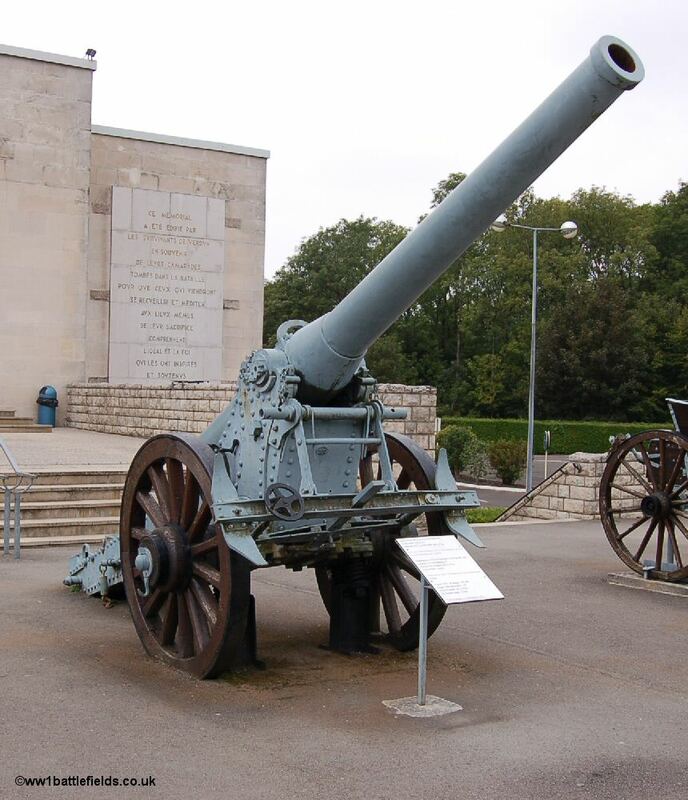 First, a French 155mm gun used at Verdun. 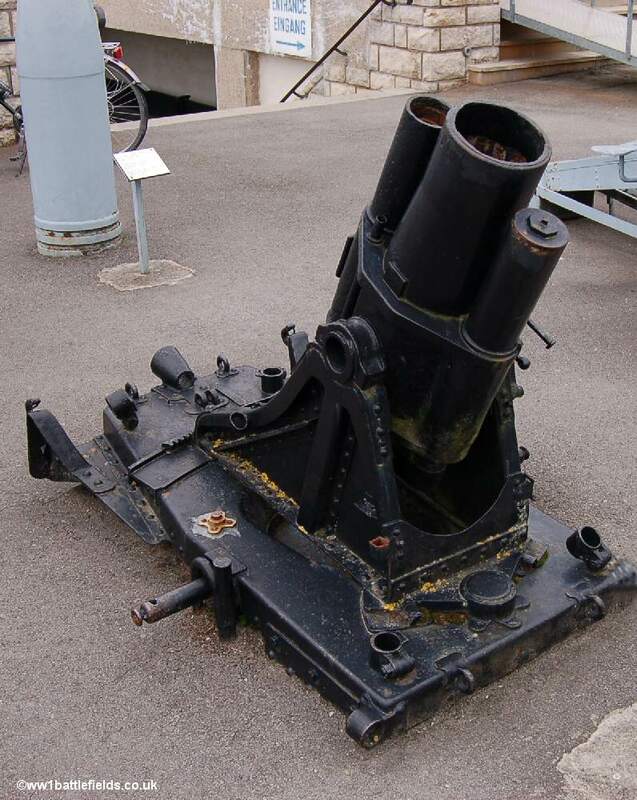 The shells weighed 40Kg each, and had a range of 12 km (about seven an a half miles). 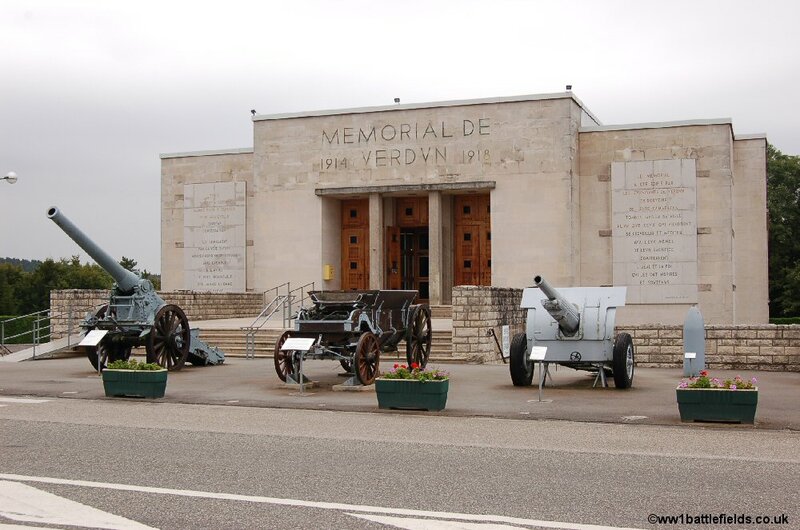 In the middle is a 170mm German Minenwerfer, which was buried in the clay during the battle for Hill 304 in 1916, and on the right a French 75mm gun which was used in the defence of Verdun. In the car park, next to a memorial to the 5th R.A.P. (French Artillery) is the barrel of an artillery piece in an unrestored condition. 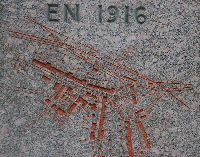 The site of Fleury village is behind the memorial and is well signposted. There are also information boards giving some useful facts and figures. In 1913 there were 422 inhabitants of the village, among them several farmers, a tobacconist and a baker. Shelling started on the morning of February the 21st 1916 amidst falling snow. An order was given that the village should be evacuated, and the villagers left in great haste, boarding carts and leading their livestock to Bras-sur-Meuse. An observer a few days later noted that the urgency of the evacuation had ben such that food had been left half eaten on some of the tables in the houses. On 24th of February, the capture of Fort Douaumont presaged the destruction of the vilage of Fleury-devant-Douaumont. 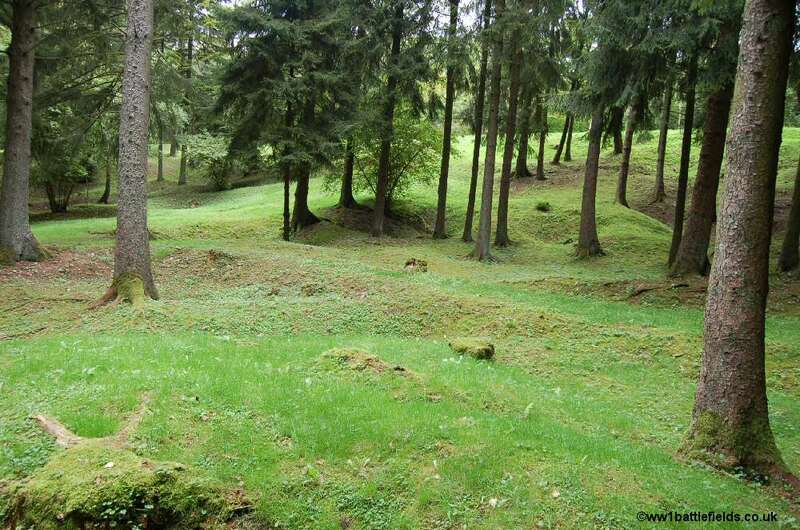 By May, all that remained were ruins and when Fort Vaux was lost in early June, the village was then on the front line and was one of the key points in the battle zone. 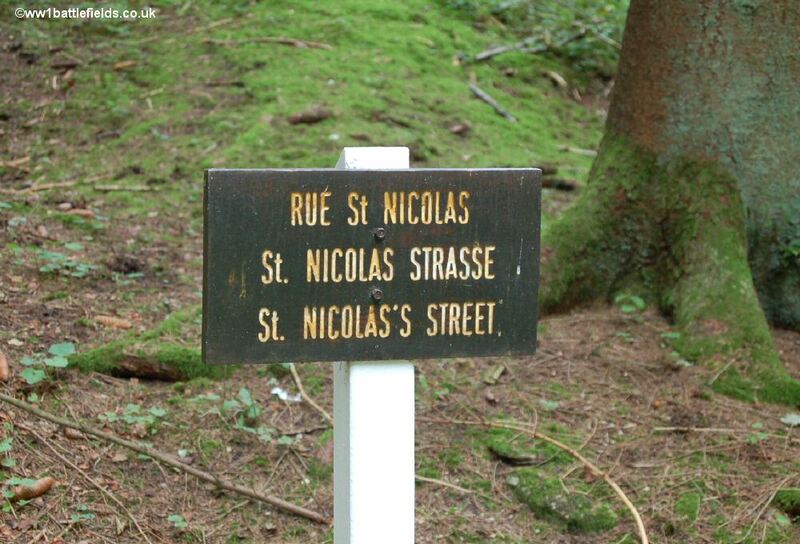 From June until August the village (or what remained of it) changed hands some 16 times, as the place was a key location in the defence of Verdun. This was total war, and total destruction of this once peaceful rural settlement. 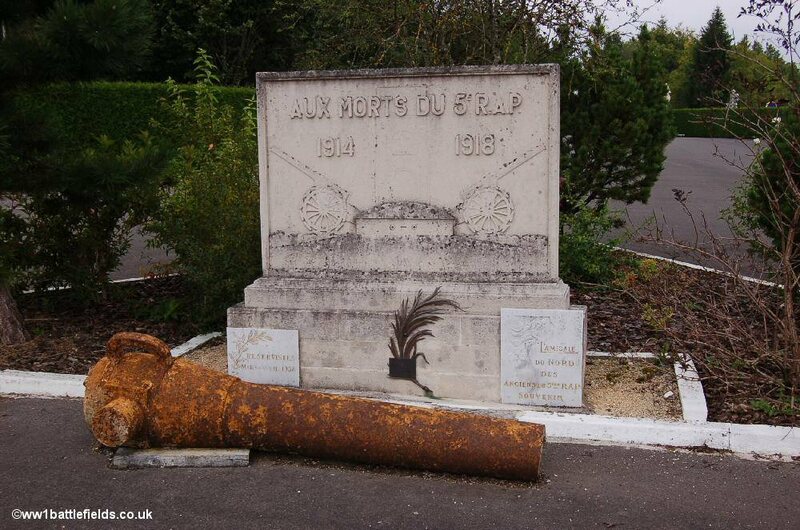 On the 23rd of June 1916 there was a massive bombardment on the village, including the use of gas-containing shells. Flame-throwers were also used here. 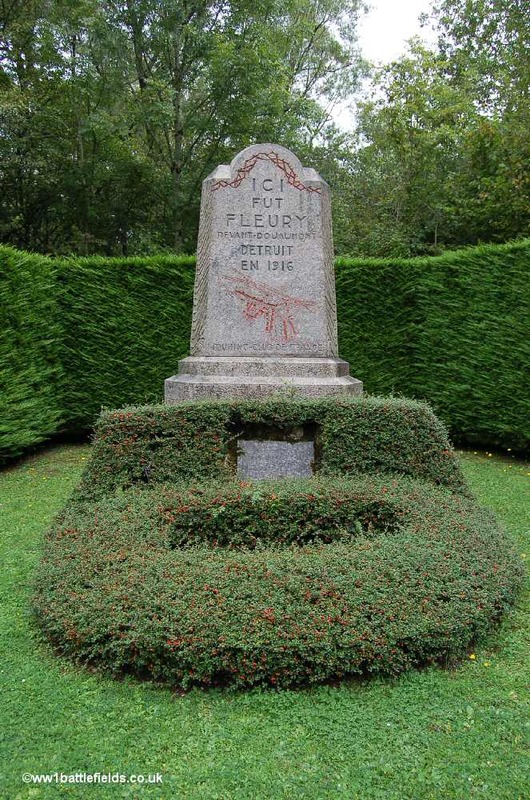 Many Bavarian soldiers fell during the fighting here in the summer of 1916, and some villages in Bavaria have a street named after Fleury in their memory. Shortly after this, the massive British offensive on the Somme was lauched, and the Germans had to fight on two major fronts. The French retook Fleury on the 18th of August 1916, and not long fter this Field Marshal von Hindenburg ordered an end to offensive operations. 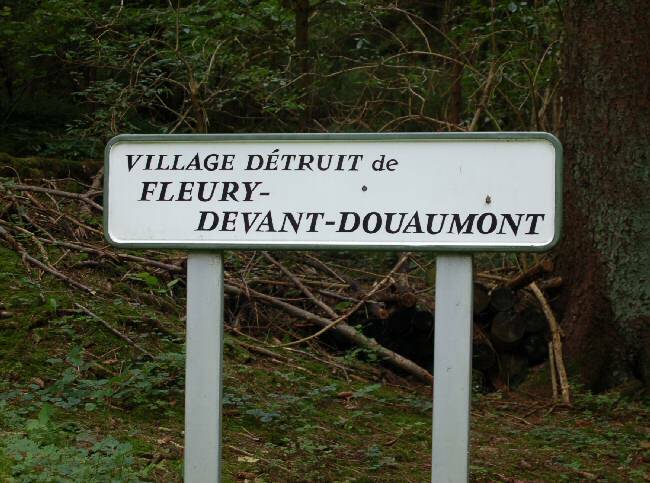 In October and November 1916, Fleury was the base from which the French launched offensives to retake Douaumont and Vaux. Abbot Theller de Poncheville wrote of the village at that time "Rows of houses were destroyed by machine guns and fire, the rooves collapsed, the walls perforated and burnt, crumbled in the streets and gardens, with their twisted framework and all their intimate objects desecrated........a strong odour of the charnel-house is released........The fury of combat has dispersed everything; the shells have fallen on these ruins, submerged in soldier's blood, crammed with dead bodies gnawed by rats". 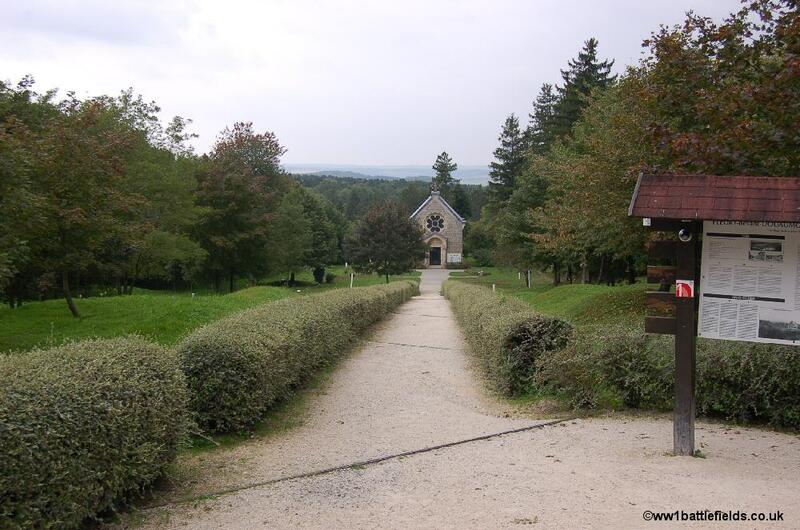 The chapel shown below was built in 1979 to commmorate the village and those who lived, suffered and died here. 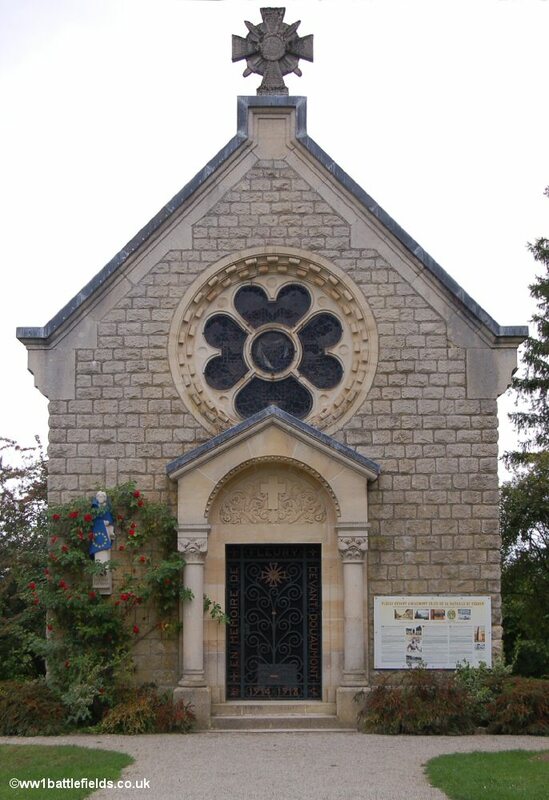 It has an intricate frame to the door, and a single cross in the churchyard. 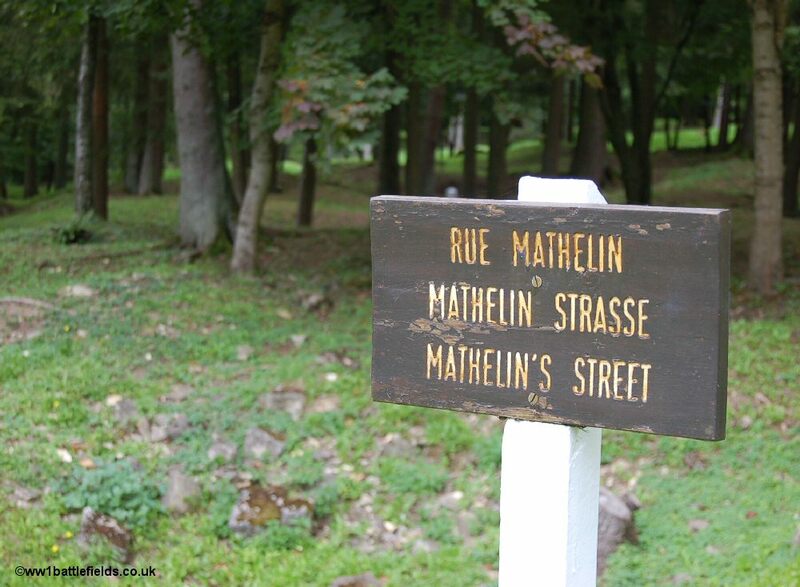 After the war, the village was not rebuilt, although like the other eight destroyed villages near Verdun that were never rebuilt, it remained a legally recognised entity, and like other destroyed villages a mayor was appointed. 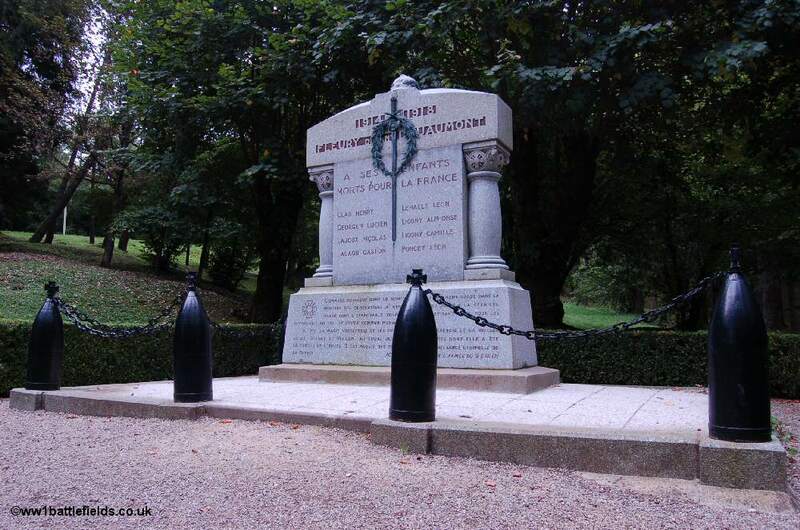 Like several of these villages, and inded like most villages in France (and Great Britain), a war memorial to those of the village who fell in the Great War was erected. 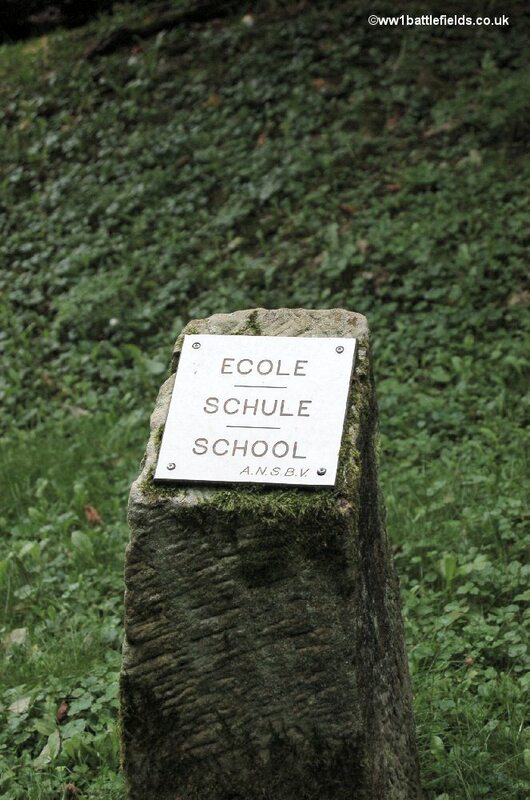 The village had only three streets, and in 1972 their routes were retraced, marked by white posts, and a stone marker placed on the site of each house, shop and also the school, church and Mairie. 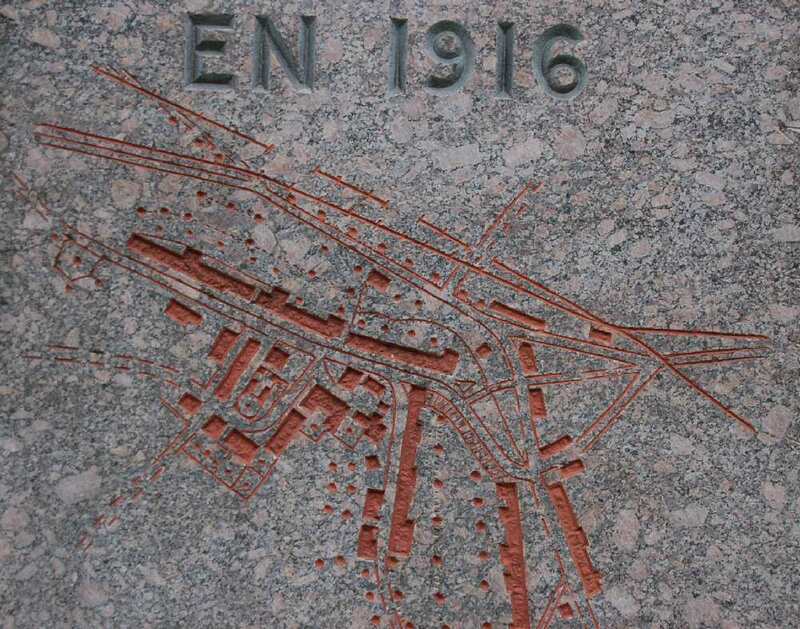 The Touring Club of France erected a memorial to the village as well, on the front of which is a bas-relief plan showing the layout of the village before the War. I was the only visitor to the village when I took these photographs in Spetember 2007, and it was almost eerie to wander along streets marked by white posts, with the sites of buildings marked on each side. The shell-holes are everywhere, and the silence of he forest is all around.